Changes to Zazzle User Agreement - Do They Affect You? This morning Zazzle announced revisions to their User Agreement effecting Designers and Associates. The changes take effect on April 1st. Here are the highlights as determined by Zazzle in this post. A reasonable change we think and not likely to effect anyone who is a regular reader of this blog or a subscriber to the Zazzle How2 eNewsletter. Seems to us that inactive accounts will have little to no dollars in them and those that do will soon have their balance reduced to zero, at which point the fees stop. ​In our minds, it makes more sense to inactivate the products of dormant accounts and charge a fee for reactivating the account and products. This leaves more "room" in the marketplace for those of us that are engaged and involved providing an additional benefit for those of us who are so. 2. Zazzle has a new social media policy that allows Designers and Users to pre-authorize us to use and post any Content you’ve tagged with #ZazzleMade on your social media channels. This removes the step of needing to reach out personally so we can more quickly and easily share your wonderful Content! Currently, if you add #ZazzleMade to any social media post, it helps Zazzle find it and if they want to use it, they get in touch with you to ask permission. This official notification just means that they will not be sending you an email request if they want to use your post promotionally. Hopefully, this will encourage Zazzle to do more of this since the system is more streamlined. 3. Our new Electronic Communications Delivery Policy clarifies that Zazzle is able to communicate with its Users electronically! Most of us get regular emails from Zazzle from multiple departments. So best as we can see, nothing new here. Just some improved descriptive copy. 4. We added more information about Privacy Shield, a U.S. Department of Commerce framework we comply with to protect your information. Additional transparency on privacy policies. 6. We’ve noticed some Designers trying to pass their templated products (with phrases like “Your Design Here” or “Your Image Here”) off as Zazzle templates, so we’ve added language allowing us to remove any similar templated products from the marketplace. This one concerns us a bit. 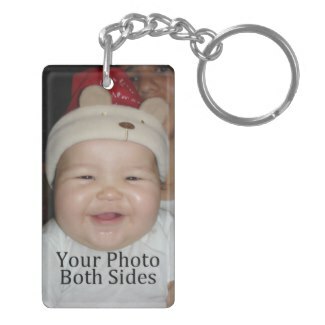 Zazzle template products are easily identifiable not just because of those words, but the space is also blank. A great many designers, including us, use those phrases but with a placeholder image, which we believe is stronger than just a blank space. One of our best selling keychains. Further, we use similar words as tags. We can only hope that Zazzle will be using humans to make these decisions and not some auto-delete program. 7. Zazzle respects the rights of intellectual property rights holders, so we’ve clarified and reiterated our right, from the User Agreement, to terminate accounts of Designers for violations of the User Agreement and/or Designer License Agreement, including for copyright and trademark infringements. Nothing new here we think. We all support intellectual property rights. 8. Zazzle is always on the lookout for opportunities and partnerships that can benefit our designing community, so we’ve added language that will allow you to participate in any special programs (e.g., offerings on 3rd party sites, etc.) we may offer. Seems to us that this is already happening such as with the Amazon program (Has anyone seen any benefit from that?). Perhaps this is simply making it official in the user agreement. A couple of questions we have are: How do we elect to participate or not and must we opt in/out to all such programs or can we pick and choose? 9. In order to investigate any orders or clicks that we suspect may be in violation of the Program, we’ve added a requirement that Associates cooperate with any requests for information or clarification, and failure to cooperate can be a Violation that could lead to penalties up to and including account termination. 10. We will be updating the Associates Program enrollment process. Reasonable. Make us wonder how prevalent violating orders and clicks are that this is that it must be spelled out in the user agreement. For those that generate referrals infrequently but are happy when you get one, #10 is of interest. If you have not generated a referral in 6 months, you will be un-enrolled in the Associates Program. To re-enroll, you must go to your Associates page and click a box. For now, this is to be a onetime occurrence and will not have to re-check the box every 6 months should you not meet the threshold. We don't understand why low producing Associates should be a problem but apparently this is a common practice. You can get more information on theses changes here. ​Should you have trouble sleeping, you can read the entire revised User Agreement here.